Hello, Fellow Floridians (and those that are not). We hope that all of our friends, family, business associates that live or have family and friends in the Carolinas are safe and that Hurricane Florence is not impacting them too severely. Though it was downgraded one level as of this writing on Thursday, the storm surges are expected to be robust and dangerous as Florence is now the size of both of the Carolinas. 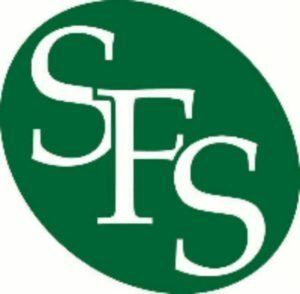 All of us at SFS are hoping you have an easy time. 1)Have the necessary insurances paid up and are current. one can see what you photographed or recorded. Not only do you need this for insurance claims, but also for tax purposes. 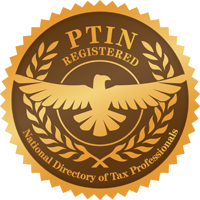 Any loss from a natural disaster is reported as a loss on your tax return (Casualty and Theft Loss). Before the passing of the Tax Cuts and Jobs Act (TCJA), it was reported as an itemized deduction. The downside is that the unrecoverable loss (after reimbursements) had to exceed 10% of your adjusted gross income (last line of the first page of your 1040). Then you subtract $100 (where they got this, who knows, and it does not matter – read on). In the past, when something like this occurs, the IRS provided a break from this calculation. When Hurricanes Harvey and Irma landed in Texas and Florida, respectively, the IRS allowed for a deduction on the front side of the return (an adjustment to gross income), the loss just had to exceed $500. So even if you did not itemize, a deduction was possible. However, that is all moot with the passage of the TCJA. Many taxpayers, who itemized in the past, may not itemize in 2018. Why? First, the standard deductions almost doubled for each type of filer (single, joint, etc.). Second, Casualty and Theft losses are no longer allowed except when the area is declared a Federal Disaster Area. I have clients in both North, and South Carolina, as well as Georgia and Virginia and several, have asked about this very topic ever since Harvey and Irma. Depending on how bad the situation is (remember Tropical Storm Sandy) the affected states may be declared to be in a “state of emergency” and this is set in motion, usually, by the state’s governor. This can be done before the event happens (as with Florence) or after. A federally declared disaster area is issued by FEMA, the Federal Emergency Management Agency and is done after the event happened. Only those people in a federally declared disaster area will be able to make a claim on their tax return. How will you report this on your tax return? We will know when it happens and then if the IRS makes their own proclamation (as an itemized deduction or as an adjustment to gross income). FEMA has no authority over this. However, as I indicated above, and how it is with all things tax, you must have receipts and proof to take a deduction. So get those camera’s ready, pack up what needs to be packed up and most of all, stay safe (and hopefully dry).